Found in southern China and Hong Kong, this is a tender lily. 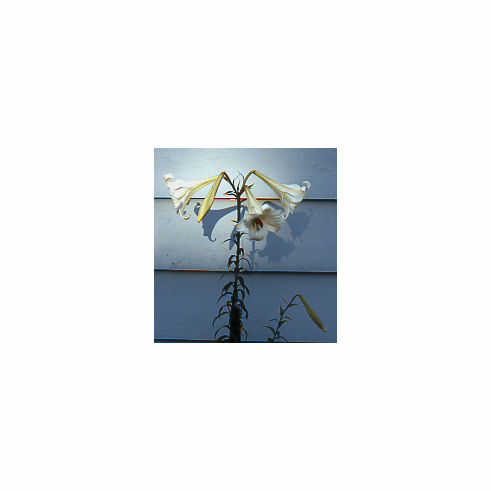 Used at Oregon Bulb Farm by lily pioneer, Jan de Graaff, where it was known to grow over 8 feet in height; this variant was considered by him to be very useful for hybridizing. Flowers are pure white on the outsied and carry a very faint green flush on the interior. We have never grown this sub species and thank whomever sent this photo decades ago, labeled only as " Lilium brownii var. australe at Bunny's".